BENERO DESIGN is a design firm that offers a complete range of design solutions for residential, commercial and industrial spaces. 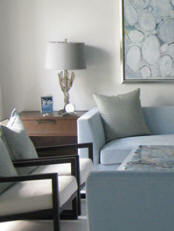 We help our clients create spaces that are unique expressions of their taste and lifestyle. No matter the style, we make sure the client feels that there's a close bond between them and the spaces they inhabit, creating comfortable, warm and inviting environments. All our projects are bound to a strict timetable, so each project is completed in a timely fashion. We execute our projects in a very detail oriented way while overseeing every aspect of the project and keeping constant communication with the client, so that in the end we create functional spaces that meet our client's needs and budget.